This year we are experimenting with fudge recipes in our house. I am easing my way into working with melted sugar. Next year we might have to give caramels a shot. These yummy looking squares are gingerbread caramel. How yummy would that be with a glass of eggnog? 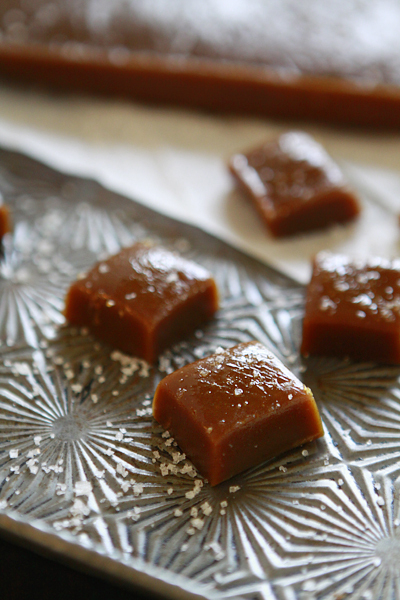 You can get the gingerbread caramel recipe, and some great tips for successful caramel making, over at Good Life Eats.